The Pond Lily Nature Preserve is a 14-acre oasis of forest, stream, and wetlands along the West River, surrounded by a highly developed urban area on the New Haven-Woodbridge border. Save the Sound removed an aging dam from the site in 2016 and set the West River free. Removing the dam helped protect the local community from dam failure, and provided migratory fish passage for the federally protected fish species Alewife and blueback herring. 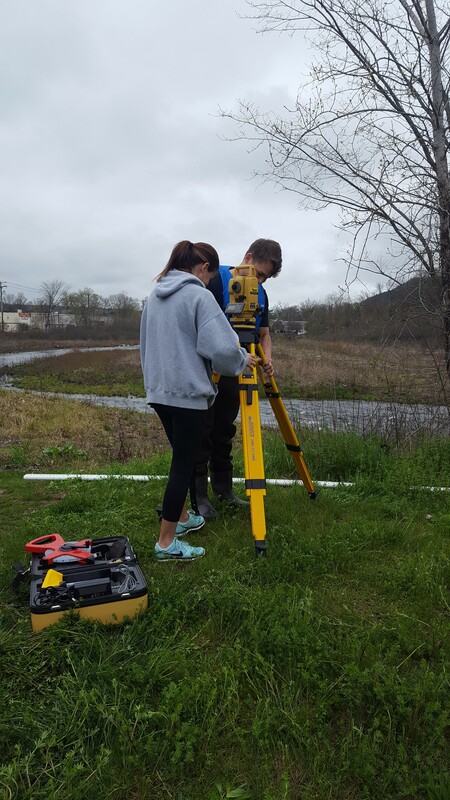 Led by Kim DioGiovanni, Assistant Teaching Professor of Civil Engineering at Quinnipiac University, students set up a river cross-section for streamflow measurements on the West River. The West River will continue to evolve and shape the surrounding landscape, which was heavily impacted by dam and mill activities for several centuries. 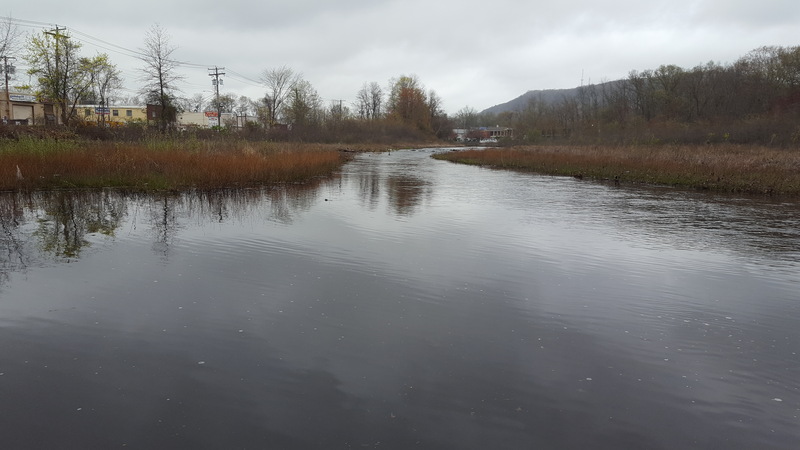 To better understand and predict these changes, we’re working with students from Quinnipiac University (QU) and other volunteers to monitor the river and collect data over the next several years. Quinnipiac University students take velocity and depth measurements to calculate streamflow in the West River. 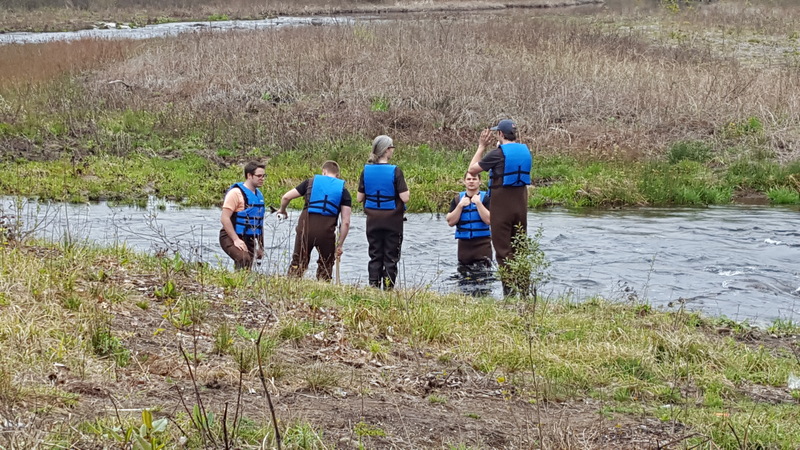 Students from the university’s engineering department took advantage of the recent nice weather to visit the newly restored river. 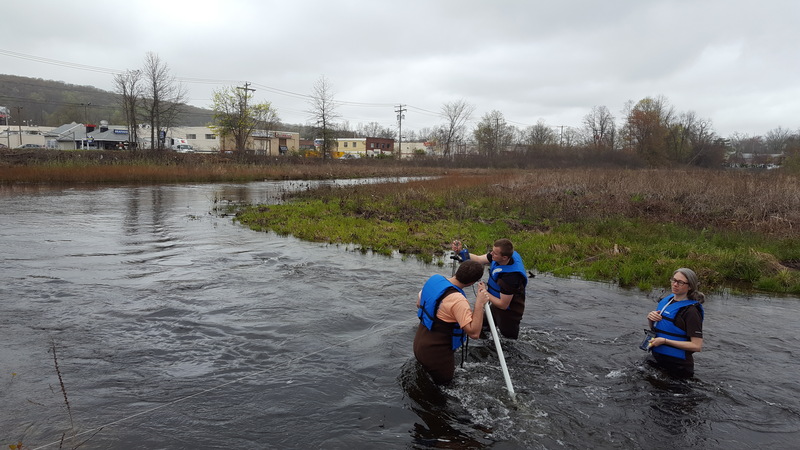 I led the effort along with Kim DiGiovanni, Assistant Teaching Professor of Civil Engineering at QU, as a part of a larger project-based learning curriculum to introduce students to river restoration theory and design. Quinnipiac University students set up survey equipment, a tripod mounted TopCon GTS255 total station, at the Pond Lily Nature Preserve. The students braved high water and swift currents, due to recent rain events, to measure the velocity of the water and the depth across the river channel. These measurements were used to calculate the amount of water flowing through the West River, and will help us develop a record of flow over time. We will also use this data to assess and predict physical changes in the river, which will inform our future river restoration designs. Monitoring efforts like this allow us to adaptively manage river restoration sites for the benefit of the whole ecosystem. We use data collected over time to control invasive species, protect native vegetation, and make river adjustments as necessary to enhance fish passage and protect habitat.